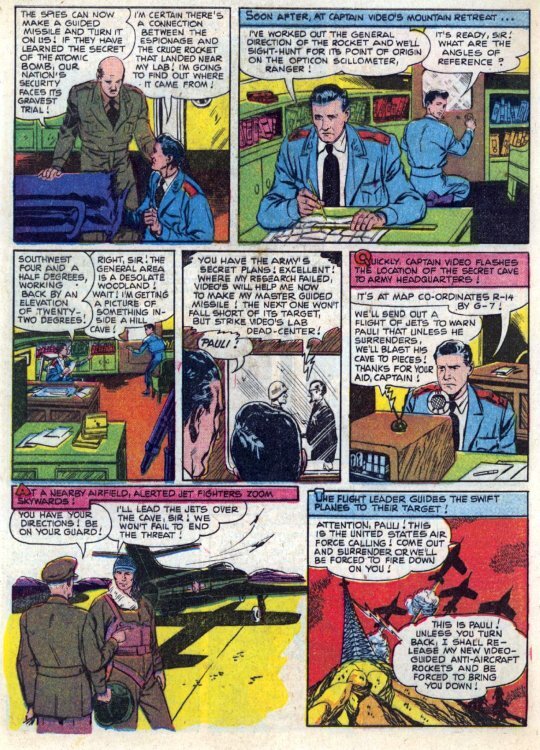 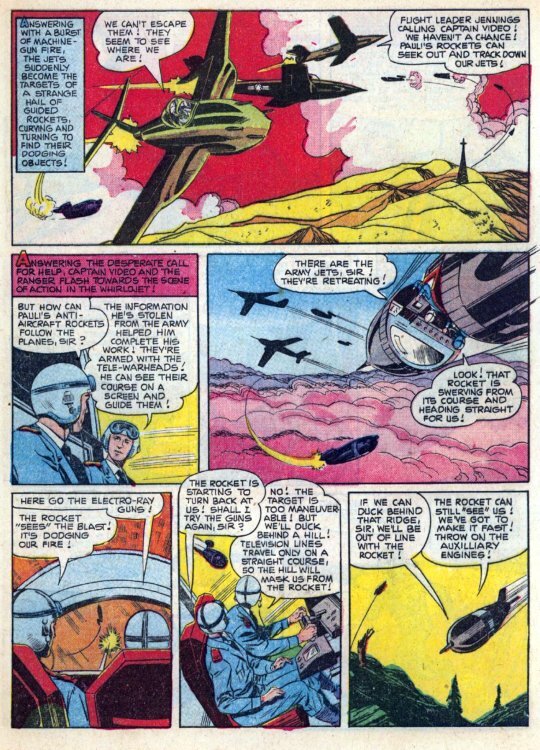 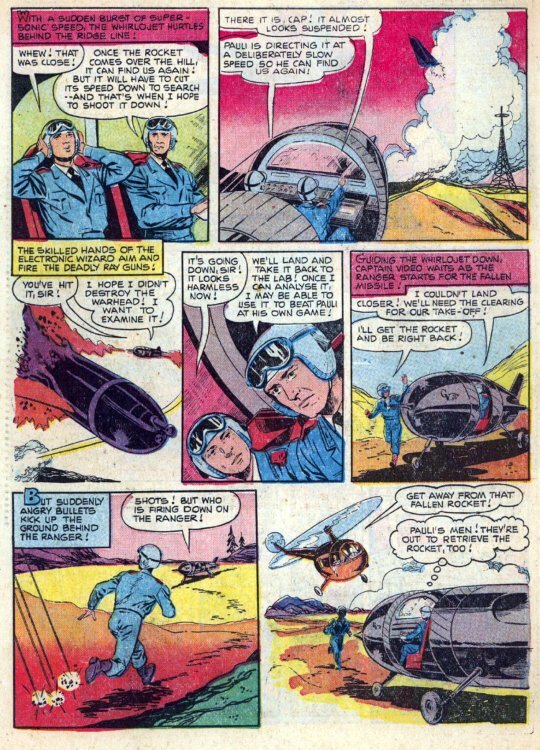 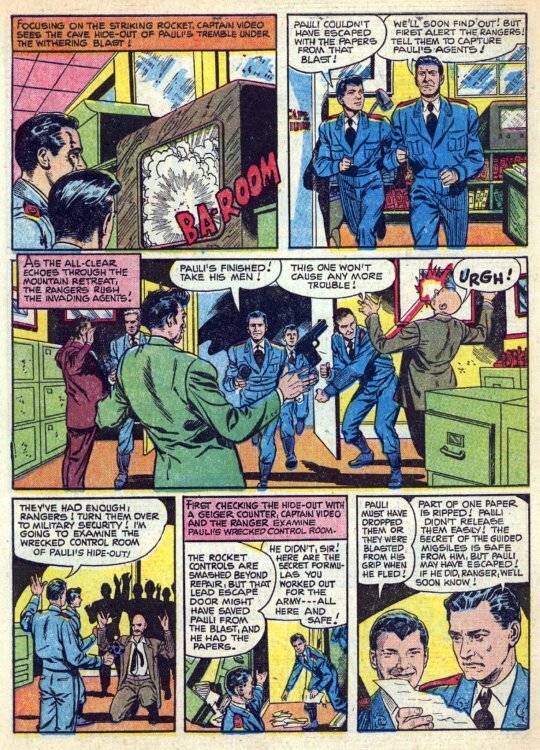 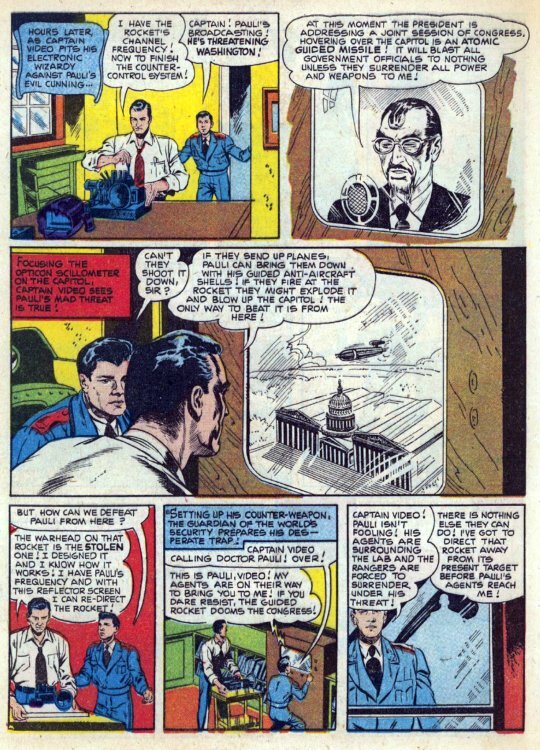 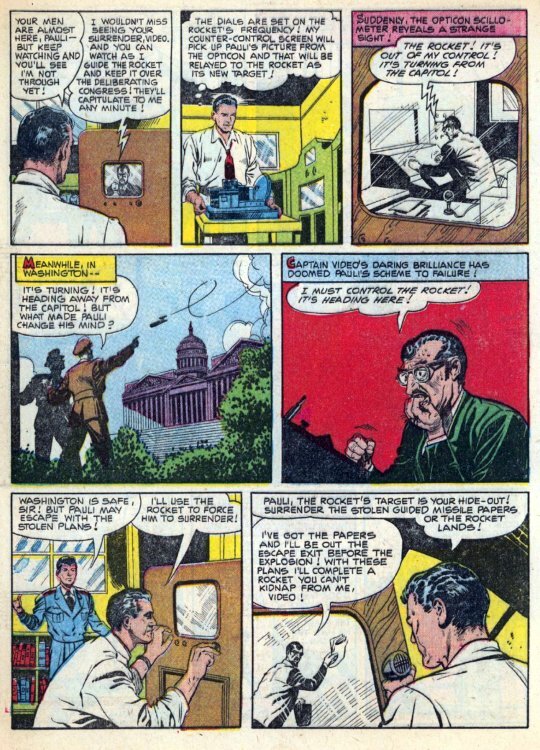 Secret Sanctum of Captain Video: Captain's Library: CAPTAIN VIDEO "Missiles of Doom"
Captain's Library: CAPTAIN VIDEO "Missiles of Doom"
...so here he is, back in action, doing what he does best; defending America with super-science, this time, from his arch-enemy, Dr Pauli! 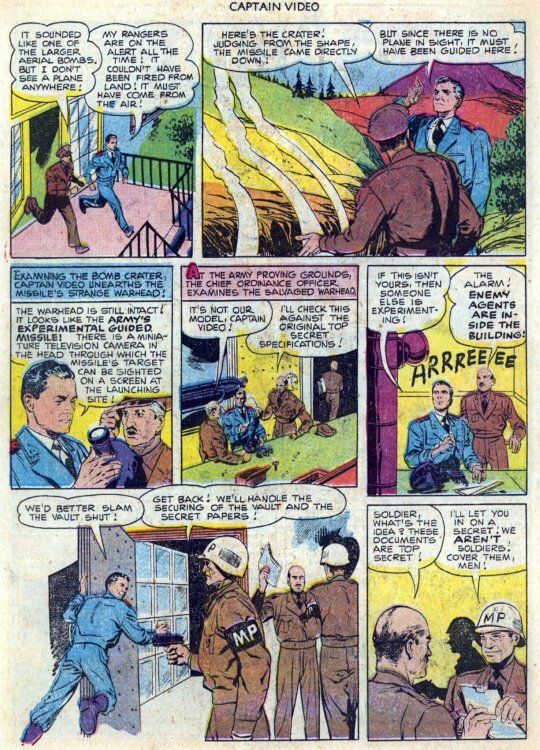 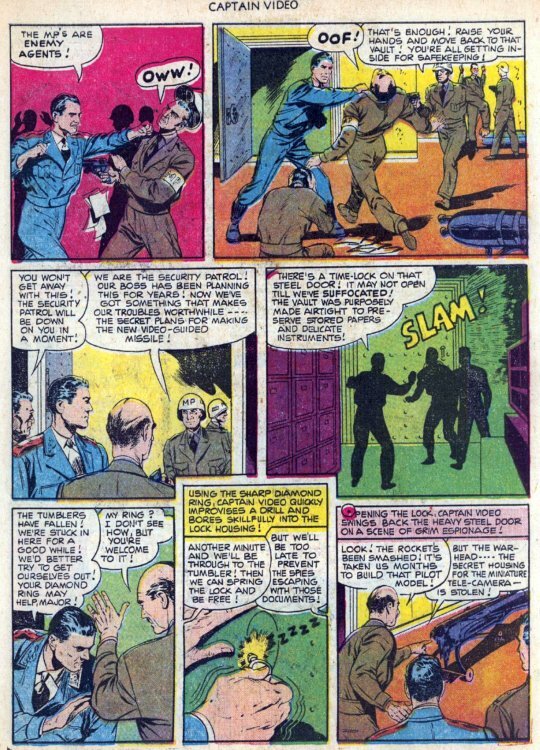 This story from Fawcett Comics' Captain Video #5 (1951) was penciled by George Evans and inked by Martin Thal. 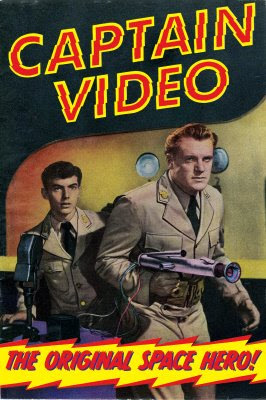 You'll note that the Captain and Video Ranger now look like actors Al Hodge and Don Hastings, who played them on TV, instead of the generic "handsome hero". 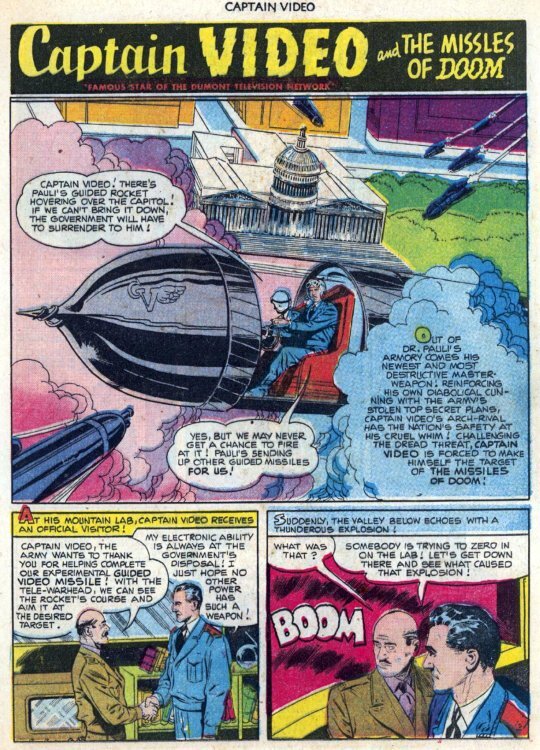 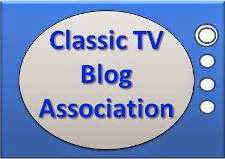 And, the story is far more elaborate and far-reaching than anything ever shown on tv (or even the movie serial). 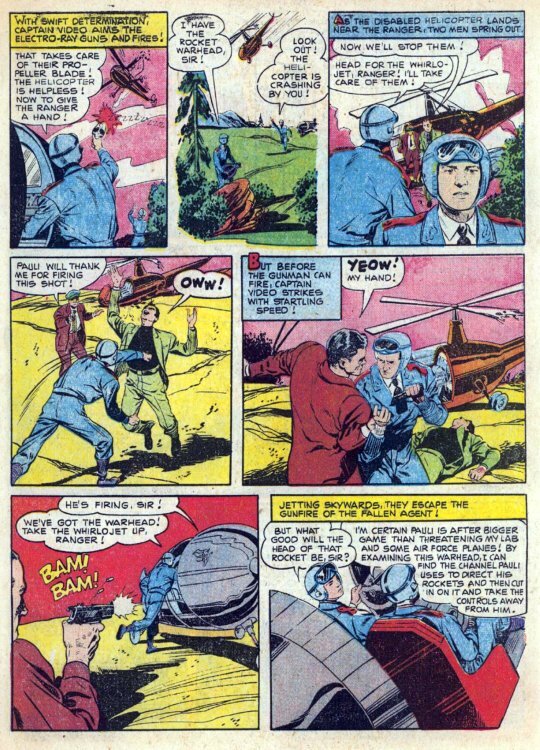 Only in the comic, unencumbered by financial or special effect restrictions, was the full, unfettered potential of the show realized.